Every Easter and Mother's Day stores sell potted hydrangeas. 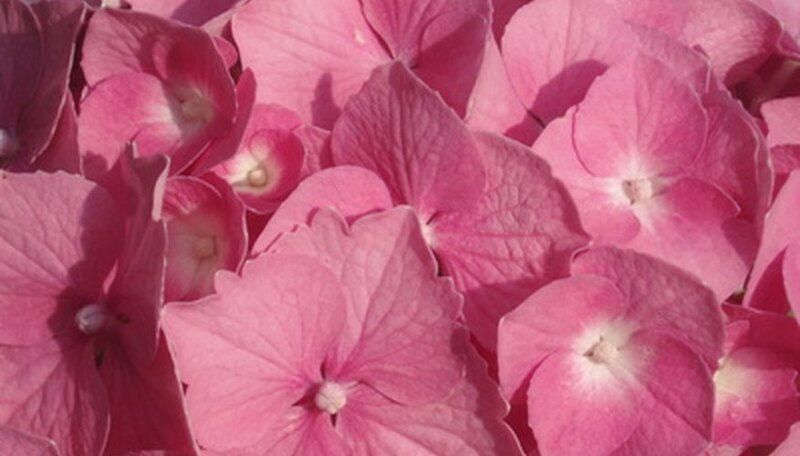 Hydrangeas produce large globes of flowers in shades of pink or blue. Indoor potted hydrangeas normally stand about 24 inches high with a 24-inch spread. Many potted hydrangeas are enjoyed indoors and then transplanted outside in the garden. With care, the potted indoor hydrangea can offer repeating blooming for ongoing enjoyment. Place the potted hydrangea in full indirect sunlight. A south-facing window is ideal. Place the hydrangea back away from the window where it will receive ample light but not suffer flower fading from direct light. Standard indoor temperatures that range from 70 to 80 degrees F are acceptable for potted hydrangeas. During the night the hydrangea appreciates cool temperatures around 50 degrees F. Cooler nighttime temperatures will help extend the plant's bloom time. The potted hydrangea requires ample water. Keep the hydrangea moist to the touch. Potted hydrangeas easily perish when allowed to dry out. A dry hydrangea will quickly wilt. Promptly clip away dead flower heads. Trim each stalk of the hydrangea down to only two leaves per stalk. Once flowering is complete the hydrangea will benefit from repotting. Mix 50 percent peat moss with 50 percent potting soil when repotting. Place the plant in direct sunlight in a south-facing window once repotted. Place the potted hydrangea outside during the warm summer months. Place the plant in morning sunlight and afternoon shade. Fertilize the potted hydrangea every two weeks with a water-soluble fertilizer. Follow the directions on the label for application strength. Clip away extra new shoots as they appear in the middle of the plant. Keep only three or four shoots for flowers to develop on. Pinch back the main shoots during the summer time to encourage the plant to bush out. Cease pinching the plant the last week in July. Bring the potted hydrangea back indoors when fall arrives. Place the plant in total darkness until all leaves fall from the plant. Once all the leaves have dropped, store the plant at around 40 degrees F for six weeks with no water. Remove the plant from darkness and place in the sunlight. Begin watering the potted hydrangea again. Maintain a nighttime temperature of 55 to 60 degrees F. Fertilize the hydrangea every two weeks. The potted hydrangea will being to grow new foliage and will flower in four months.